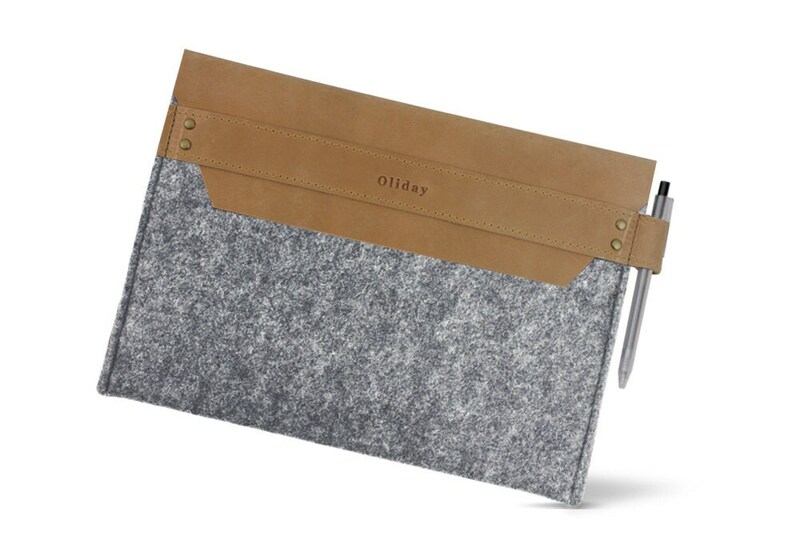 W1025 ipad Case "100% Wool felt & Leather"
" 100% FULL GRAIN LEATHER & 100% WOOL FELT "
Make life easy and organized using a Wool Felt ipad Case, designed to be stylish in both form and function! 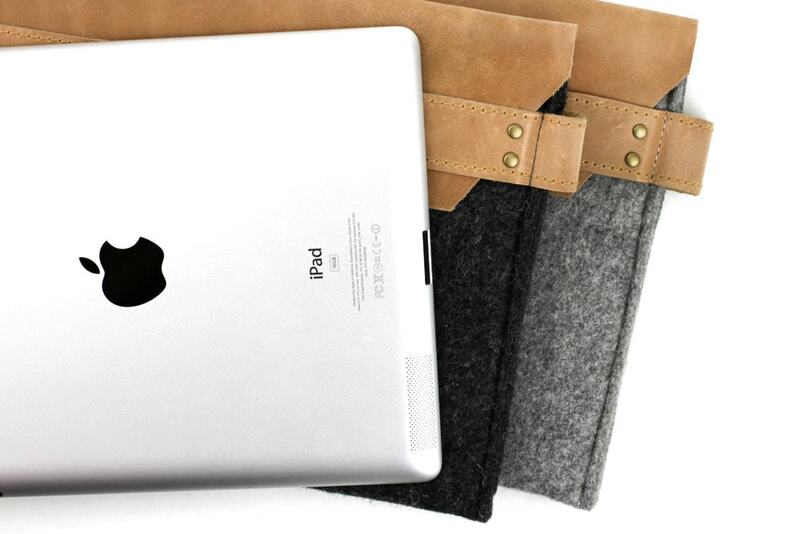 Each ipad Case features one large pockets to store and protect ipad and an additional pocket for charger, phone etc. 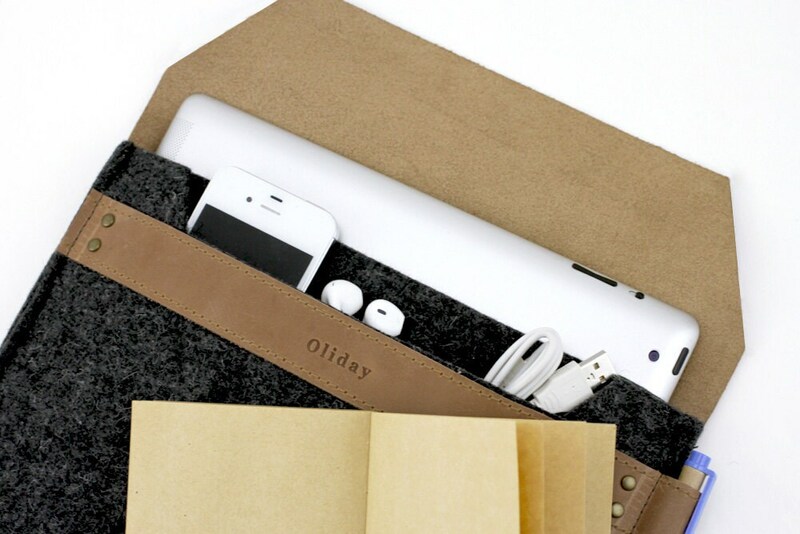 It accommodates an ipad with a smart cover. Snap it closed once you’re ready to go back on the move. Well made and just perfect for my new iPad Air in its smart case. 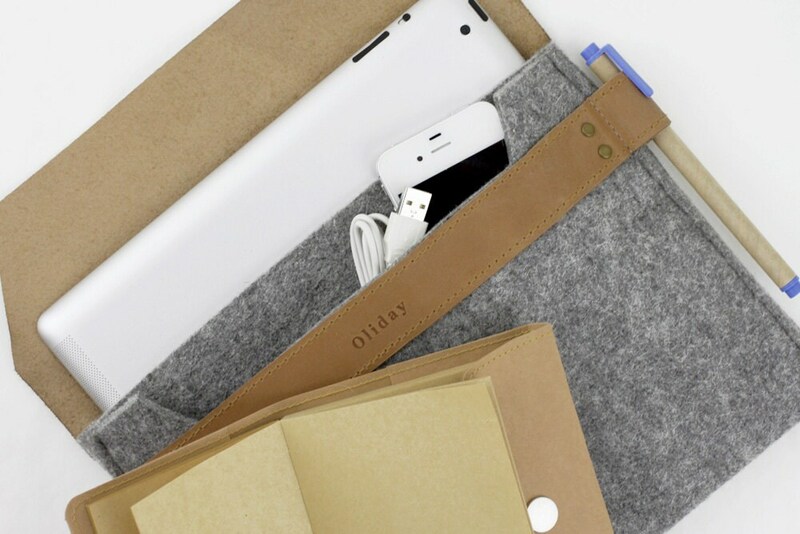 Outer pouch fits cords, plug and my IPhone 6! Thanks for making such a quality product! Perfect size. Love the material. Nice construction. Great product, and quick delivery.